Your wedding ring will last a lifetime – so it’s really important to find exactly the right ring for you. 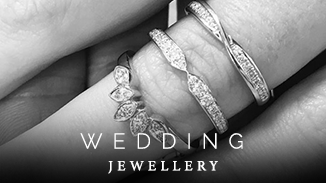 From platinum to white gold, yellow gold to rose, plain bands or shaped designs to fit your engagement ring, vintage or contemporary wedding rings, whatever your personal preference, we’ll help you to find the perfect wedding ring. There are lots of things to consider when it comes to choosing a wedding band, so have a look at our recent commissions for some inspiration. 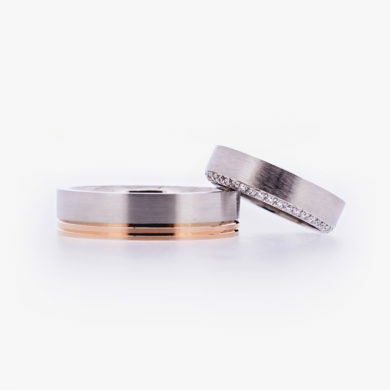 If you’re looking for something a bit different, we can also design a wedding band that’s completely bespoke, perhaps with gemstones or personalised engraving. 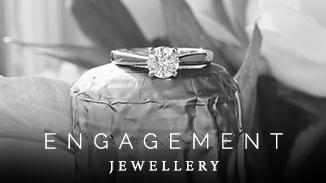 And for an extra special touch on the big day, we also have a selection of exquisite wedding jewellery, from stunning necklaces and elegant earrings for the bride to stylish cufflinks for the groom to give your special day a bit of extra sparkle. The increase in men wearing jewellery means more and more men are wearing wedding rings than ever before. 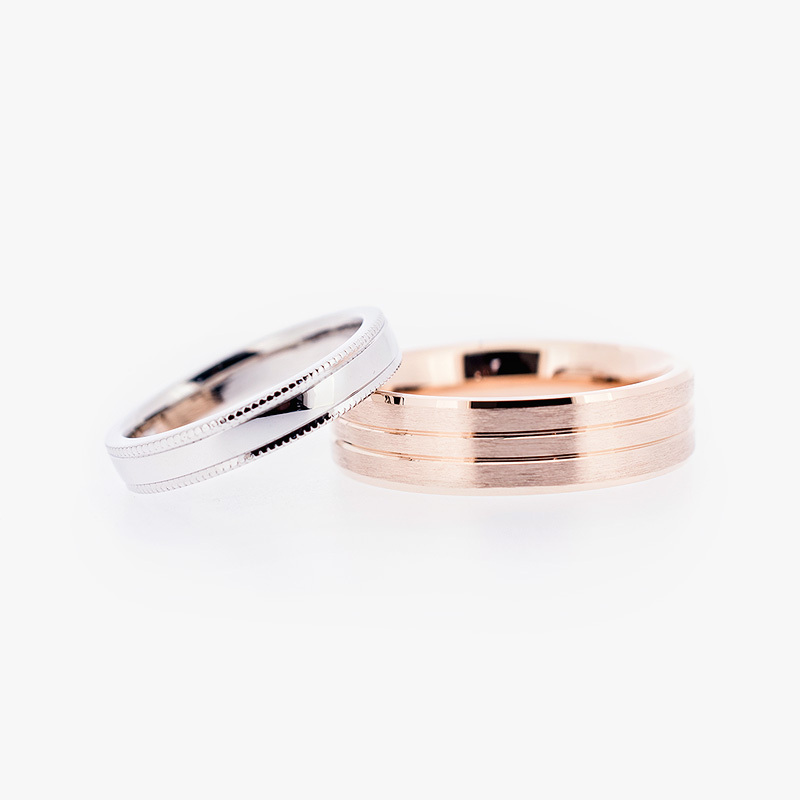 Perhaps you want to create a bespoke ring which suits your own personal sense of style or you are looking for the perfect ring to complement your partner’s band – or maybe you would prefer metal to traditional gold; rest assured we will find a ring that suits you. It doesn’t have to be a wedding ring. A great alternative for many men is a signet ring, which can be exclusively designed to include a family crest or your own personal design, and can be worn on either hand. If your engagement ring has a unique shape to it, a shaped wedding band might just be the perfect solution for you – not only to complement your engagement ring but to prevent any damage to it too. 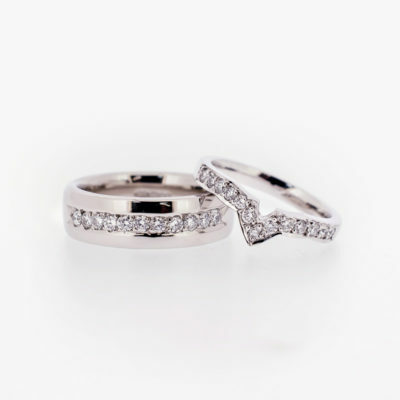 Have a look at our testimonials for examples of shaped wedding rings or call 01242 574468 to arrange a consultation. 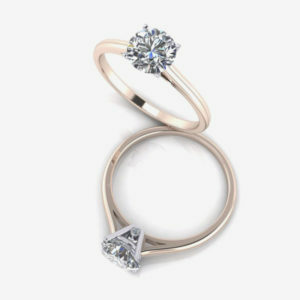 A bespoke wedding ring gives that added element of love that an off the shelf ring cannot match. It’s personal and timeless – yet so easy to do. 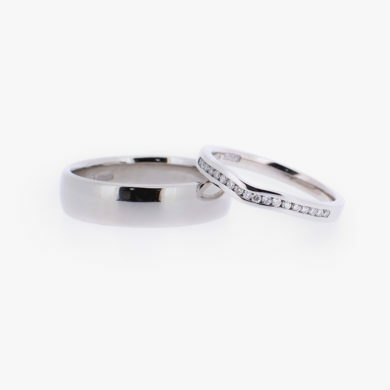 Whether you are looking for a wedding band adorned with gemstones to complement your engagement ring or prefer a simple, engraved band, whatever your perfect wedding ring looks like, we can make that dream a reality. 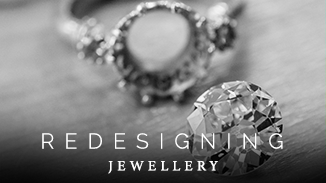 Find out more about the process of designing a bespoke ring for every budget here. 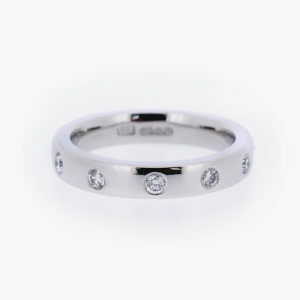 An eternity ring is the perfect gift to celebrate the arrival of a new family member and is traditionally a plain band with set gemstones that sits alongside your engagement and wedding rings. If you’re searching for something a little different, brightly coloured gemstones or a half eternity style could be perfect for you – feel free to browse our portfolio for inspiration. A stunning necklace or elegant earrings could be the perfect surprise for your bride on your special day. Maybe you want to give your bridesmaids a keepsake to thank them for their support, or perhaps purchase cufflinks for your groomsmen to wear on the day? Our wedding jewellery is the perfect extra addition to make your already special day that little bit more memorable, whatever your budget.